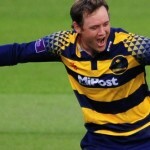 Veteran Saffa Colin Ingram produced a great all-round performance to help Glamorgan into the quarterfinals of the Natwest T20 Blast with a win over Somerset in Cardiff. Alviro Petersen fought a lone battle, scoring his first T20 ton, as Lancashire were beaten by Leicestershire in the Natwest T20 Blast. Another rampant performance by AB de Villiers saw the Barbados Tridents to another victory in the CPL, against Faf du Plessis’ Patriots. 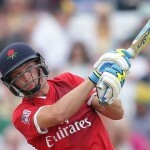 Jos Buttler’s 57 off 22 balls, which swept Lancashire to victory over Worcestershire in the T20 Blast, is our Play of the Day. Imran Tahir continued the trend of Saffa impact when he took 3-13 on his T20 Blast debut for Nottinghamshire. Kagiso Rabada at least emerged with some credit as Essex hammered Kent by 50 runs in the Natwest Blast T20. 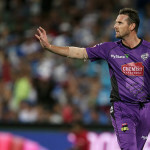 Australian fast bowler Shaun Tait, signed for Glamorgan as a replacement for Dale Steyn in the Natwest T20 Blast, admits he has to step up. 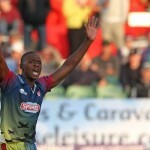 South African bowling sensation Kagiso Rabada produced a Man-of-the-match performance in his first T20 Blast match for the Kent Spitfires. 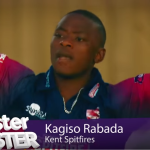 Proteas’ star paceman Kagiso Rabada was named Man of the Match on his debut for Kent in the Natwest T20 Blast. 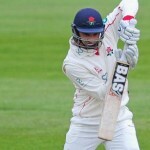 Alviro Petersen roared back into form with a superb 191 to put Lancashire in a commanding position in their county match against Middlesex at Lord’s. 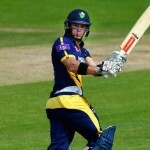 English county side Leicestershire have announced the signing of Cameron Delport for the NatWest T20 Blast. 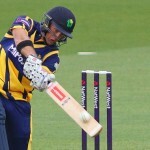 English County side Sussex have extended David Wiese’s stay. 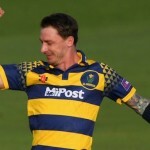 Dale Steyn was at last among the wickets to help Glamorgan to a five-wicket win over Hampshire in the T20 Blast on Friday night.